Cedar city is a hidden gem for outdoor enthusiasts. We are only minutes away from some the best outdoor adventures in the country. 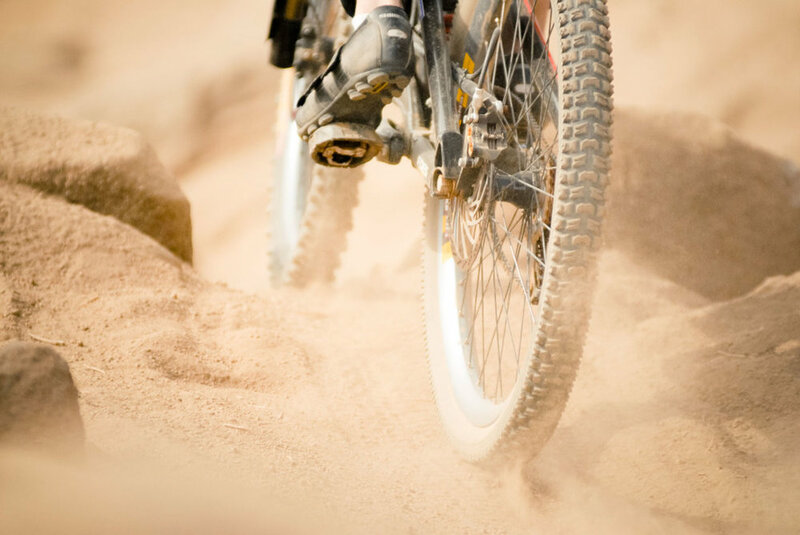 Experience amazing trails around Brian Head on one of our mountain bike rentals, play in the sun at Sand Hollow State Park on a stand-up paddle board, or go climbing on world famous red rock sandstone. Whatever adventure you choose, you can be sure that Cedar Sports has the right gear and equipment to make it amazing. Below you will find information about our summer time rentals and bicycle repair shop. Bikes, paddle boards, kayaks, climbing shoes, harnesses, yard games, and camping and backpacking gear are just a few of the things that we rent during our summer season here at Cedar Sports. We even let you pick up your gear the day before your adventure at no extra cost so that you can have the maximum amount of fun with the least amount of stress. Cedar Sports carries a great selection of climbing gear, canyoneering gear, and many of the basics you need for camping, hiking, and backpacking. We also sell disc golf discs, hammocks, sleeping bags and more. We rent stand-up paddle boards, kayaks, climbing gear, bikes, and more to Cedar City, Brian Head, and Eagle Point. Stand-up Paddle Boards, Mountain Bikes, Climbing Gear, and more. Rentals prices below are for a 24 hour rental. We offer special pricing for multi day rentals and for groups such as scouts, youth groups, and family reunions. If you have any questions, please feel free to contact us at 435-586-5651. Our employees are experts on our equipment and are happy to help in any way they can. Cedar Sports offers full service bike repairs and maintenance. We get the job done quick and we get the job done right. We can handle everything from basic tune-ups to complete suspension service and rebuilding. Below you will find pricing and descriptions for some of the more common repairs and maintenance procedures. If you don't see what you are looking for, please feel free to call us at 435-586-5651. This is your basic tune up and maintenance package. If you are just pulling your bike out for the summer or if you had your bike checked out in a while, then this is a good place to start. We adjust both hubs; adjust headset; adjust bottom bracket; adjust pedals (if serviceable); Secure and lube both brake levers; remove, trim, and lube brake cables; secure calipers; adjust caliper pivots; adjust brake pads; adjust loose hubs; true wheels laterally as necessary to allow brake adjustment; clean rims; set pad clearance; center brake pads; remove, trim and lube derailleur cables; lube, secure and adjust shift levers; lube and adjust derailleurs; secure handlebars, stem, seat post, seat, crankarms, chainrings, pedals, accessories; clean frame. The South View is the real deal. This your complete tune up those who want their bike to be riding at top performance. As part of the tune up, we adjust both hubs; adjust headset; adjust bottom bracket; adjust pedals (if serviceable); Secure and lube both brake levers; remove and clean calipers; remove, trim, and lube brake cables; secure calipers; adjust caliper pivots; adjust brake pads; clean rims; set pad clearance; center calipers; remove, trim and lube derailleur cables; lube, secure and adjust shift levers; remove, disassemble, clean, lube and adjust derailleurs; remove and clean chainrings, chain, and freewheel; clean frame, rims, and spokes; secure handlebars, stem, seat post, seat, crankarms, chainrings, pedals, accessories; correct lateral, radial, centering, and tensioning errors in both wheels.